Knight Vision and Glaucoma Specialists is pleased to offer AutoScript™. AutoScript™ is an exciting new computer which tells us your prescription for either glasses or contacts in about 10 seconds, at the touch of a button.  AutoScript™ is available only at Knight Vision & Glaucoma Specialists. AutoScript™ does not eliminate the need to read a traditional chart but helps you achieve your final prescription with much less effort and time. AutoScript™ is invaluable for people who can't communicate, young children, or anyone who has difficulty in a traditional eye exam. Glaucoma is an eye condition that develops when too much fluid pressure builds up inside of the eye. It tends to be inherited and may not show up until later in life. The increased pressure, called intraocular pressure, can damage the optic nerve, which transmits images to the brain. If damage to the optic nerve from high eye pressure continues, glaucoma will cause loss of vision. Without treatment, glaucoma can cause total permanent blindness within a few years. Macular degeneration, also called age-related macular degeneration (AMD or ARMD) or the now discarded term senile macular degeneration (SMD), describes a variety of pathologic but extremely common conditions that affect the macula (a portion of the retina of the eye) and, therefore, central vision. Central vision is what you see directly in front of you rather than what you see at the side (or periphery) of your vision. Diabetes is a disease that occurs when the pancreas does not secrete enough insulin or the body is unable to process it properly. Insulin is the hormone that regulates the level of sugar (glucose) in the blood. Diabetes can affect children and adults. Diabetes is a disease that occurs when the pancreas does not secrete enough insulin or the body is unable to process it.